Kosher-certified and vegan-approved PureFit bars do not contain dairy, wheat, or gluten, and will not melt in their packaging. 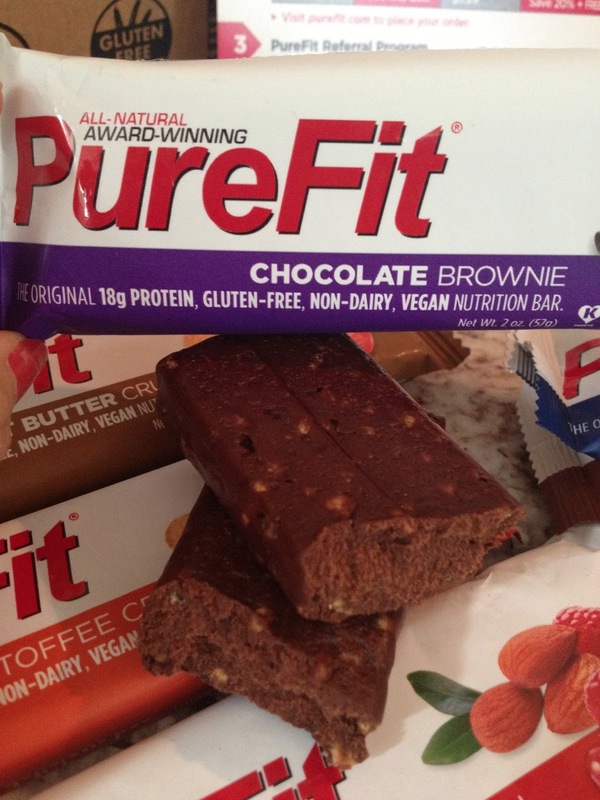 PureFit works diligently to provide high-quality, award-winning nutrition bars without artificial ingredients, sugar alcohols or common allergens, including milk, wheat or gluten. 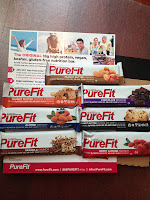 Here's a review of the flavors they sent me! 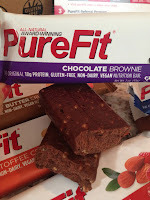 OMG this tasted like chocolate heaven <3 and the crisp kind of made it taste like a chocolate covered rice crispie treat... is that crazy or what?! 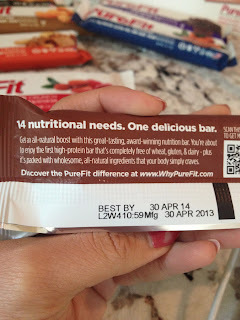 Again, same crunch from the crisps and nuts, but this had the added taste of oatmeal, YUMM. 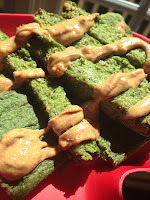 Tastes just like one of my breakfast bowls of oats I have in the mornings! 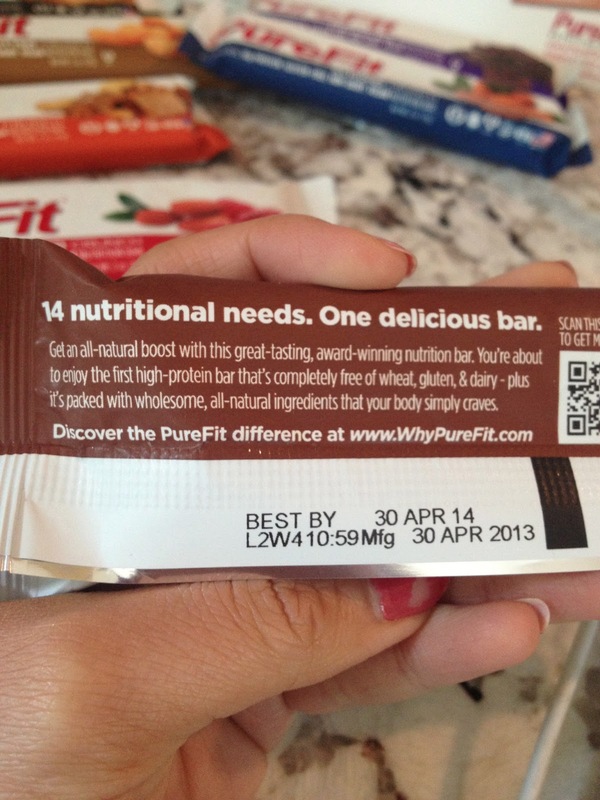 So tasty, filling, oaty granola sweet goodness! Added almonds woot woot! You know I am a #nutaddict. 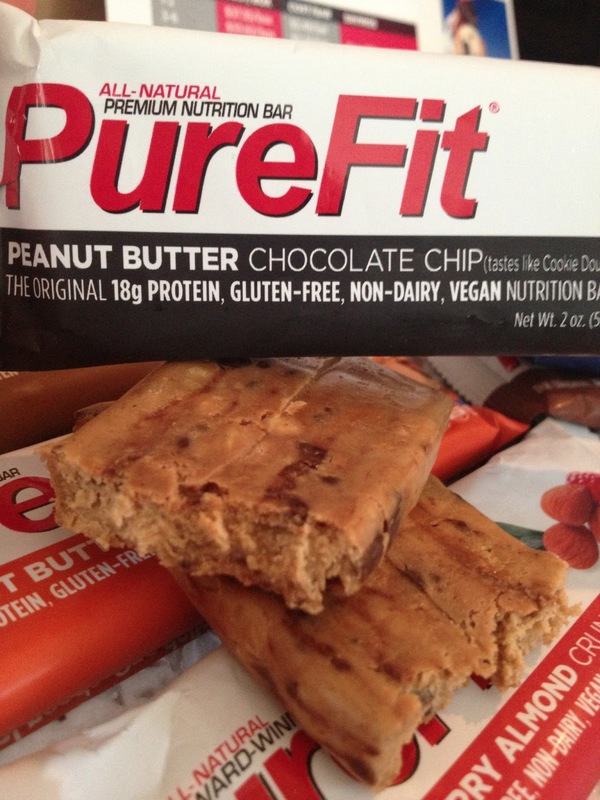 Straight up nutty crunchy crisp bar! First thing I tasted were the real raspberries! 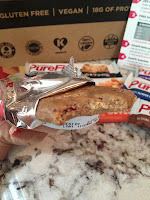 Loved the light fresh taste of the berries and then the crunch from the almonds and soy protein crisps. And look at the picture! I can actually SEE raspberries! Fresh natural ingredients! 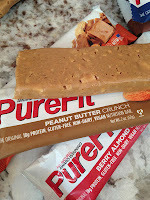 The first thing that hit me - the peanut butter smell *swoon* haha I love my peanut butter! 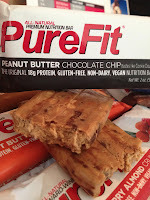 This tasted like: heaven, peanut butter, heaven, chocolate chips, heaven. yes. I think this was my favorite bar! 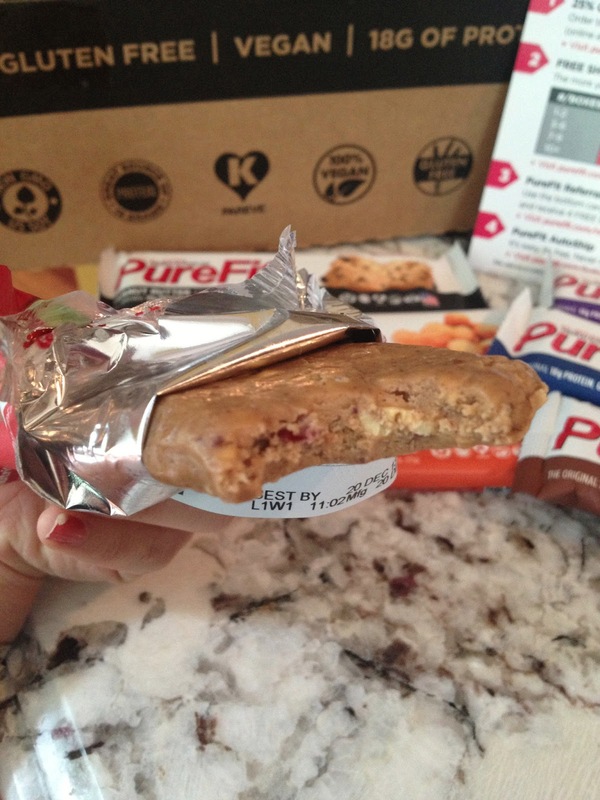 Ok THIS tasted like someone put peanut butter in a bar form. This tasted very similar to the peanut butter crunch bar, except a slight addition of the toffee flavor! Still very delicious, just a little more sweet! All the tastes were amazinggg and true to their names. They all had the same crunch texture from the soy crisps, and each flavor was so unique and spot on. Chocolate was chocolate, almonds were crunchy and nutty, granola tasted like oats, peanut buttter like *ahhhhh* a jar of peanut butter, and so on. 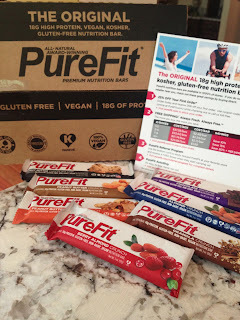 And the bosses over at Purefit were nice enough to give a little discount for you first timers! And you also get FREE SHIPPING woot wooooooot. 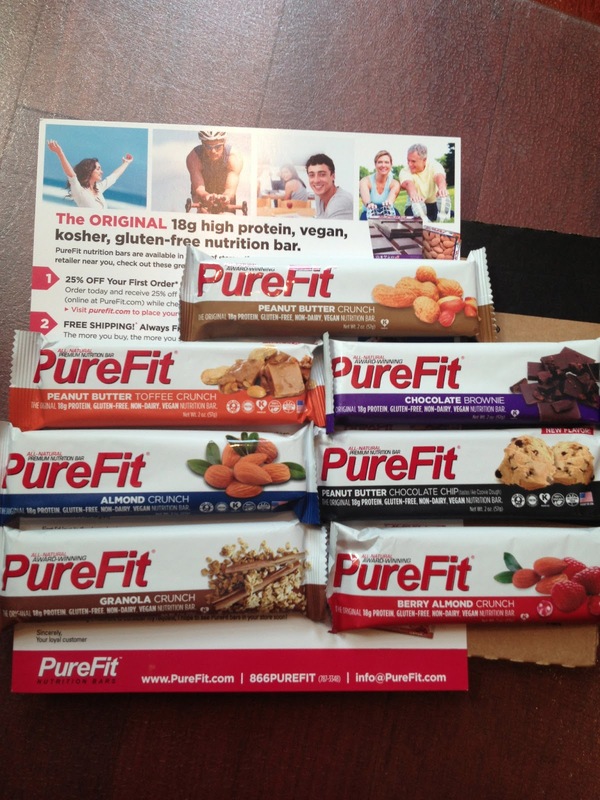 Thanks Purefit for sending over these wonderful protein bars for me to try out! They were fantastic! Preheat oven to 375 F - pour into parchment paper lined pan [or even in muffin tins in foil liners!] and bake for 20 - 25 minutes. Let cool before removing & cutting! Keep in mind this WILL NOT be a tough, dry bread! It'll be a moist one! Feel free to cook these like muffins, or as pancakes themselves! 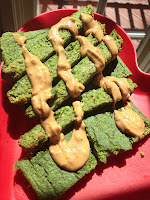 As you can see I ate mine with delicious and melty peanut butter YUMMMM! Check out the amazing benefits of peanut butter HERE.